Pierre Gervais shows the tricks of the trade to Melvin! 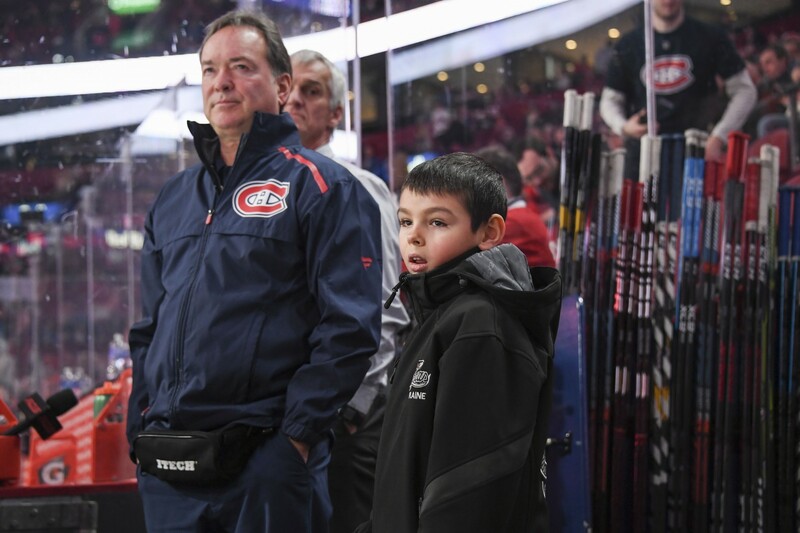 As part of Family Weekend, Pierre Gervais took a lucky young Fan Club member, Melvin White, under his wing to show him how things are done as equipment manager. Melvin helped Mr. Gervais with preparation for the game against the Oilers!